No. 7, Lengkuk Keluli 2, Kawasan Perindustrian Bukit Raja, 41050 Klang, Selangor, Malaysia. 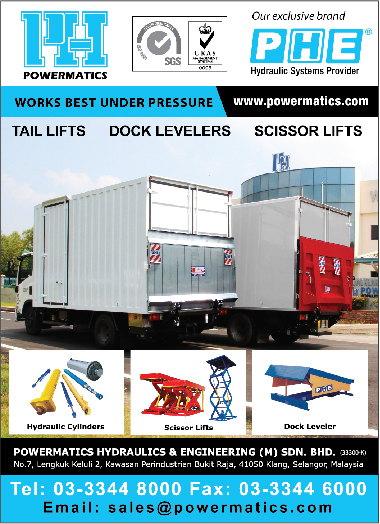 Powermatics is one of the market leader of Industrial Hydraulic Engineering development and manufacturer in the country. 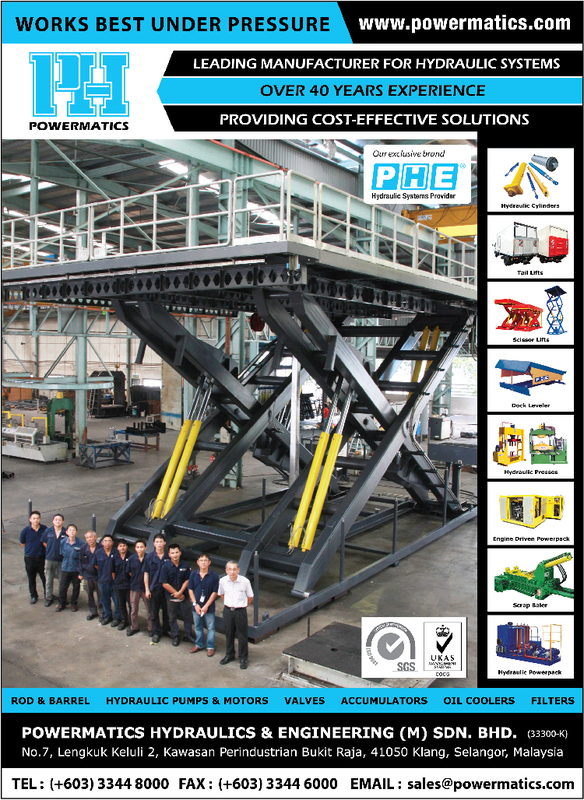 Established for more than 30 years in the industry, the company currently produce a good selection of custom made high-quality hydraulic equipment for local and export markets under our own brand, PHE. The company today stands as a reliable and trusted local trader of the world’s well-known brands such as DANFOSS, STAUFF, VOAC, ULTRA, BOSCH, etc. We offer outstanding customer service, continual functional & technical support, quality hydraulic products, solutions and customized services to fit customers' needs. Repair hydraulic pump and motors from Sauer Danfoss, VOAC (Parker) and other major manufacturers as well. It is our practice to pressure and flow test every pump and motor repaired. This is to ensure the performance of the pump and motor before deliver. We also repair accumulators and recharge them. Custom made equipment to suit wide variety of functions, fabrication of hydraulic presses, baler or compactor, scissor lift or goods lifts, dockleveller, etc. Design, fabrication and installation of power-pac system. Trouble-shooting, servicing and maintenance of existing hydraulic equipment. Servicing of hydraulic system of mobile equipment, inclusive of excavator, road compactor, paver, concrete mixer truck, crane etc. Conversion of oil model and obsolete hydraulic pump or motor to current model. Repair and pressure test hydraulic pumps and motors. Repair and re-built hydraulilc cylinder. Provide competent personnel for in-situ trouble-shooting and servicing of winches, cranes, power-system etc. Supplier of world-renowned Gearmatic Winches. Supplier of HYDRAULIC INTERNATIONAL liquid pump, gas booster and air amplifier. Complete installation and renewal of hydraulic piping, inclusive of flushing, pressure test to IMCO standard. Design, fabrication and installation of winches, valve-actuator and power-pac system. Repair to hydraulic system of hatch cover, power-steering, cargo-crane etc. Overhaul of all makes of hydraulic pumps and motors.